Why was there an error on Manning's hat at SB50? You may not have caught it, but plenty of Denver Broncos’ fans did. 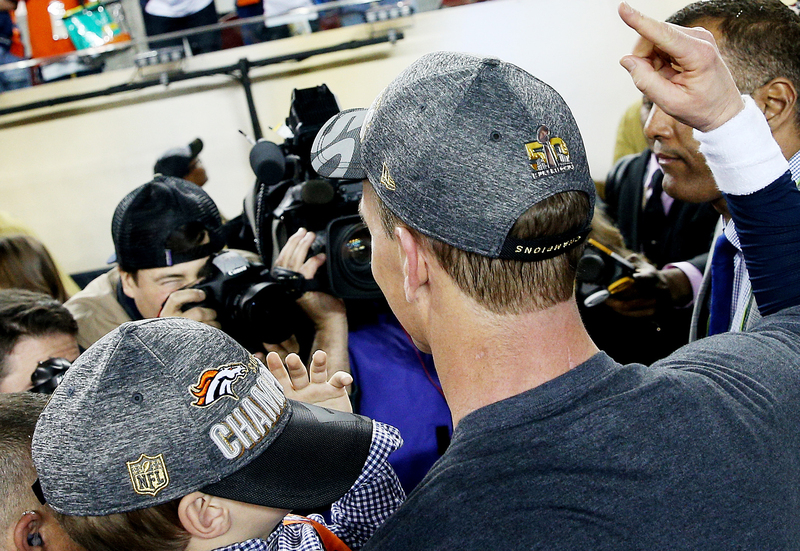 Why was Peyton Manning wearing a hat with “Champions” spelled upside down on it at the Super Bowl? A spokesperson for New Era, the maker of the caps, says that, despite an inspection, a lone hat with “Champions” sewed on upside down got through the cracks. And of course, where does it wind up? The winning quarterback’s head. After the final play during a Super Bowl, a representative from New Era runs onto the field and hands all of the players hats to wear during the trophy ceremony. It’s just a coincidence that Manning got the faulty hat. It’s just “one of those human errors,” according to Dana Marciniak of New Era. "Unfortunately, one of the Denver Broncos champion caps that was handed out on the field on Sunday had an error. This is something that does not happen often for us, but the proper cap was given to Mr. Manning after he left the field." But don’t worry Denver fans: a brand new – and accurate – hat was waiting for Manning and all of his teammates in the locker room.